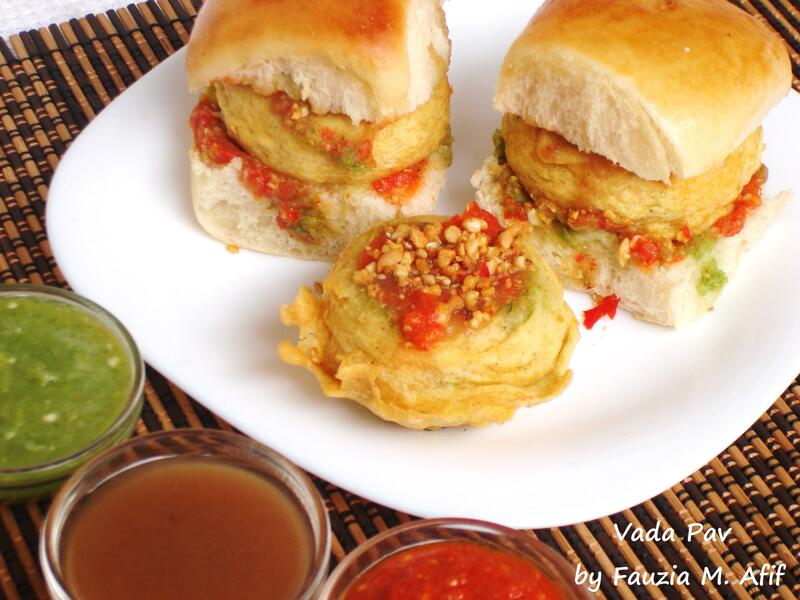 A popular and coveted street food the Vada Pav is perfect for vegetarians and those who want a break from the meat scene. Battered and fried potatoes are slathered in your favorite chutney and placed between sliced soft buns. Messy and delicious! This cornflower cake can be stuffed with a number of meats and vegetables. 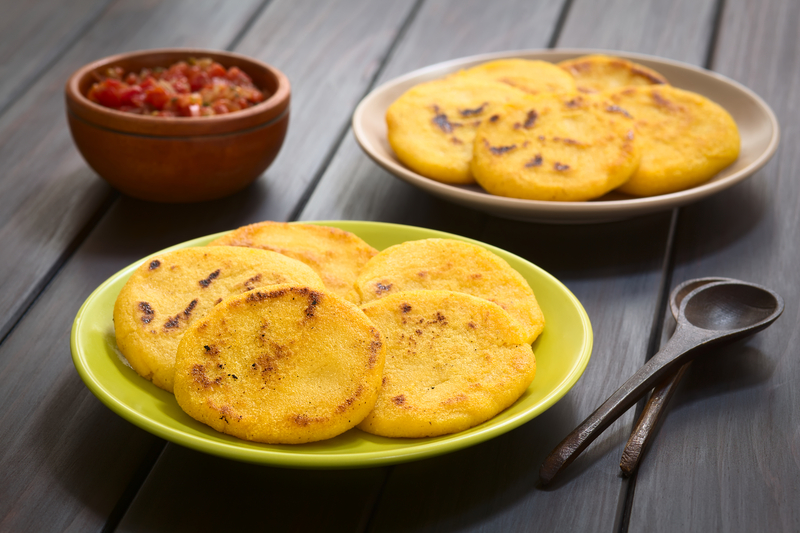 Add chili sauce and the unique sandwich, known as Arepa, can deliver quite a kick! You can find them in most South American countries served in a variety of ways. 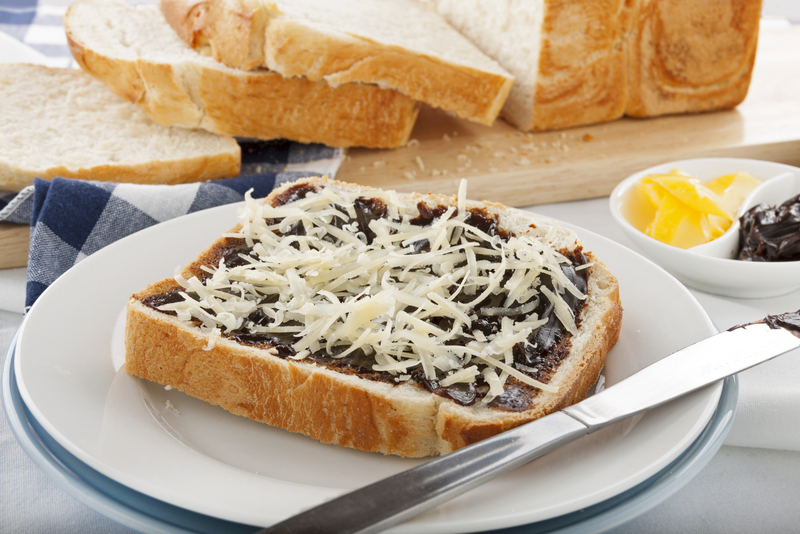 Vegemite is a yeasty paste that only an Australian can love. 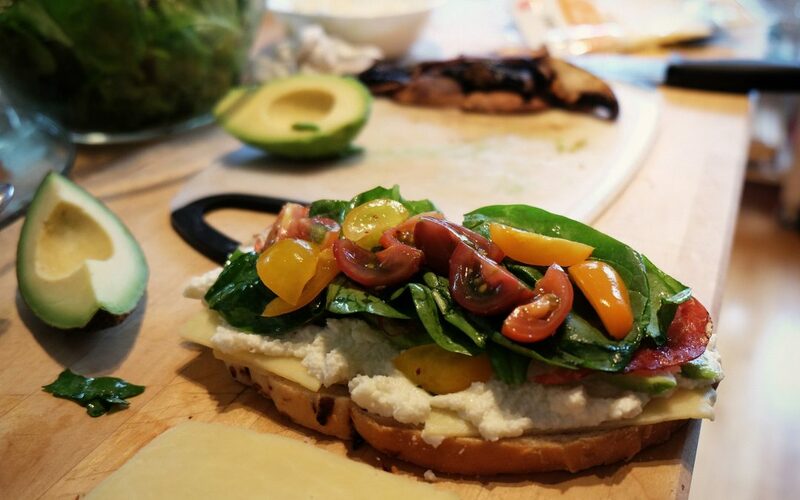 Spread on buttered toast with some cheese and you have the most unique sandwich you’ll ever eat. Packed with vitamins and minerals it’s one of the most healthful spreads out there, if you can get used to the taste. 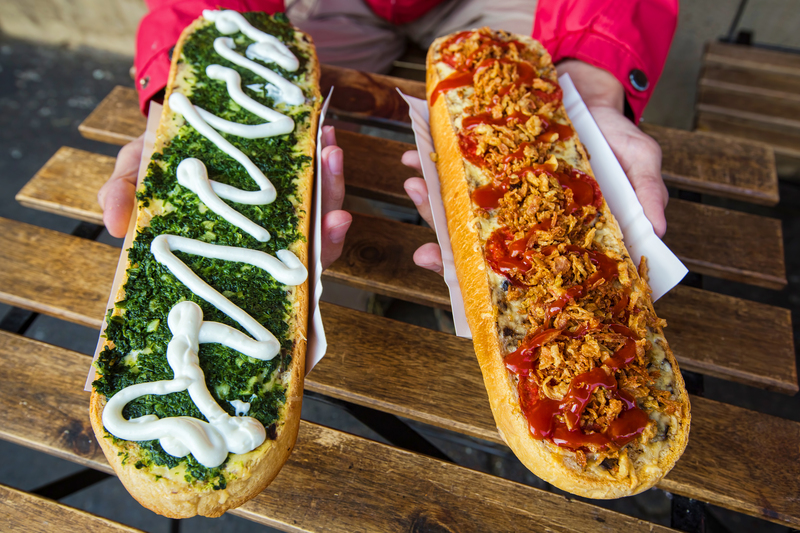 Zapiekanka is an open-faced baguette popular throughout Poland. 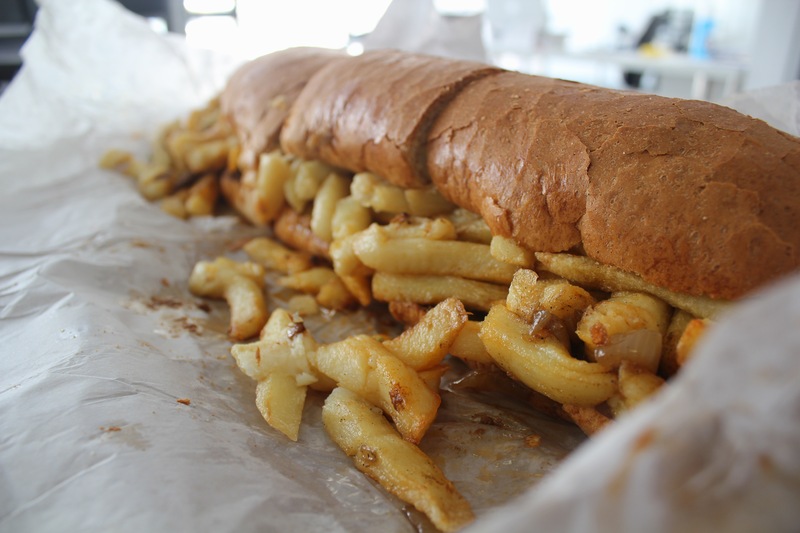 Typically found at street vendors the extra-long baguette is covered with sauteed mushroom, onions, and cheese then baked in the oven and drizzled with ketchup. Another messy delight. The Gatsby is a simple concoction with massive size. A ridiculous amount of french fries (chips) and bologna are stuffed into an Italian roll and served with ketchup, piri piri, and lettuce. Have an empty stomach before ordering one of these! This meat lover’s dream is a favorite street food in Puerto Rico. 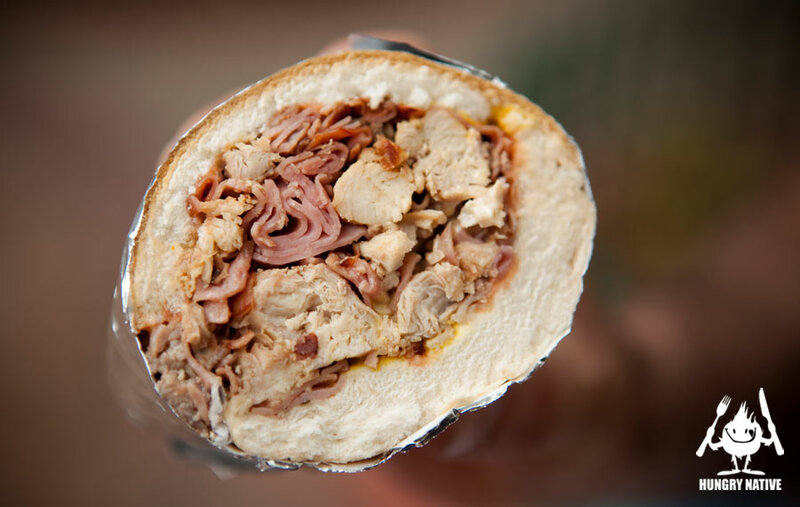 The Tripleta sandwich gets its name from the trio of grilled chicken, ham, and beef served on a sweetened sandwich roll. Adding mayo, ketchup, mustard, or hot sauce gives it added dimension. I love mine plain with just the juices form the meats dripping down my arm! Well there you have it…I could go on and on but those are some of my favorites. 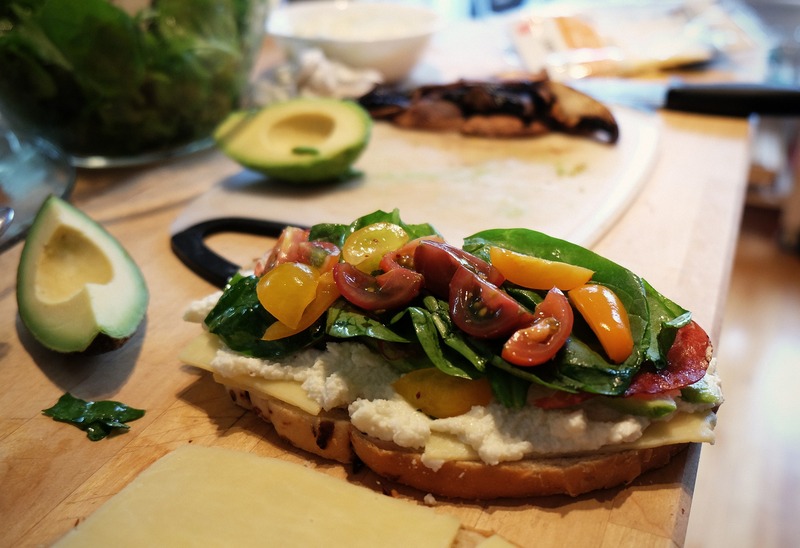 Have you ever tried one of these delicious sandwiches? Do you have a unique one of your own? Share your experiences with us!